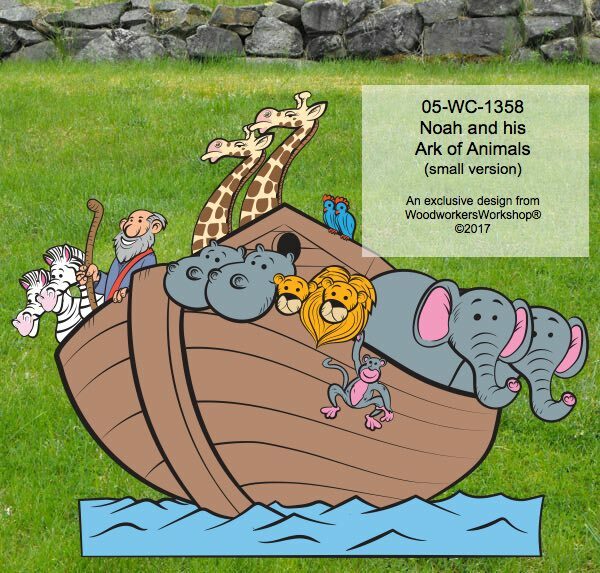 We are proud to offer our newest woodworking project, Noah and his Ark of Animals. We provide you with the full size blueprint. Simply trace, cut and paint! This plywood project is sized 36 x 48 inches. We also offer custom sizing too if you want it larger or smaller.